First up saw Carlton Heart face Fitzroy for the first time this season, and it was a crucial game with both sides locked on nine points each a win was a must. Early on the game plan was clear for Carlton as they sat back and waited to pounce on the counter attack. The plan worked as a one two saw Steph Galea left with a simple tap in as she converted to open the scoring. The Heart would punish again on the counter as Jess Byrne picked out the bottom corner to have Carlton leading 2-0 at the break. Fitzroy upped the tempo in the second half as Carlton were content to hold on to what they had, but the Tigers broke through as Erin Clout found the net from a tight angle to halve the deficit as Fitzroy pushed for an equaliser. Despite all the possession and chances the Heart defence proved too strong as they held on to their advantage to take home a vital three points. 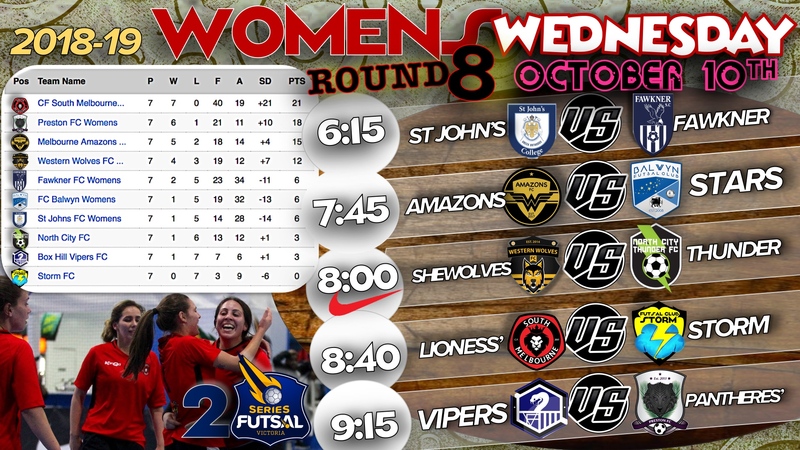 Our second game of the night saw bottom of the table Moreland, desperate for a win face Pascoe Vale who also needed the three points. Pascoe raced out of the blocks and got out to a commanding 3-0 lead on the back of a Marcela Marques double and a single to Julie Tran having Moreland in trouble. 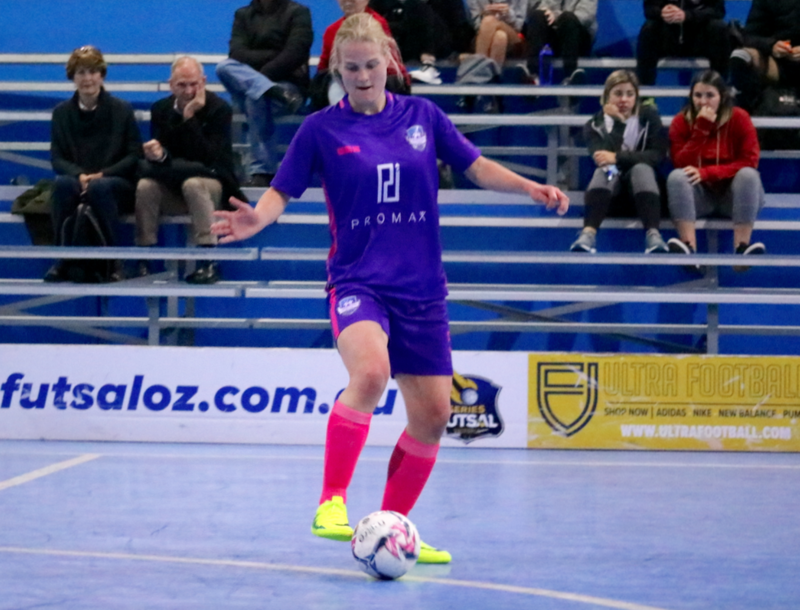 However from there Moreland turned the game around and dominated for the continuation, as Claudia Fruscalzo and Emma Hubbard lead the way bagging a hat trick each to give their side a surprising six-three half time lead. Pascoe got a goal back early in the half through Abbey Flight but it was Moreland’s night as they added another six goals, with Hubbard finishing with a game high six to her name, while Jessica Au marked her return with a goal, and Zoe Tizard & Nikolina Bucalo both found the net as Moreland put on a clinical display to dispatch their rivals and get a win which could kick start their season. The final game of the evening saw the two top sides in the league go head to head as Northcote faced Westside. Westside struck early through Elly Torre in what was a tight affair, before Padiki Dade doubled the advantage as Westside held the lead going into the half time break. 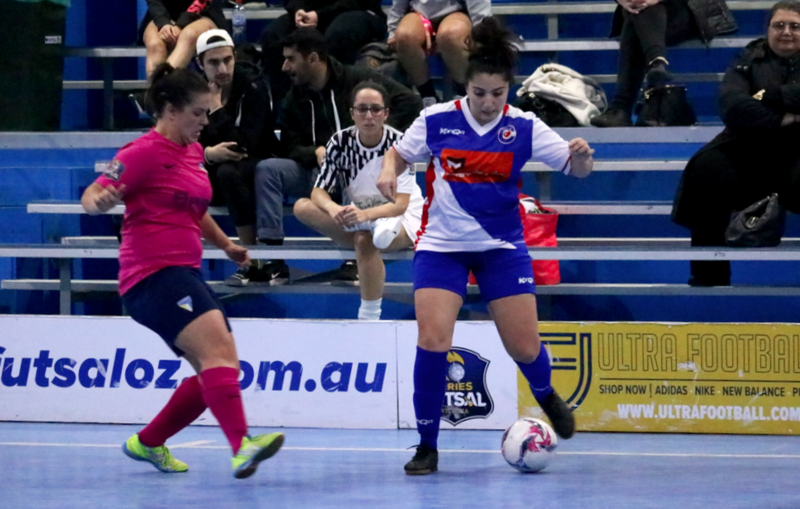 Northcote came out of the break rejuvenated and pulled a goal back through Daniella Galluccio who was fuelling the comeback, and soon after they were level when Alexi Garcia struck and it was game on. 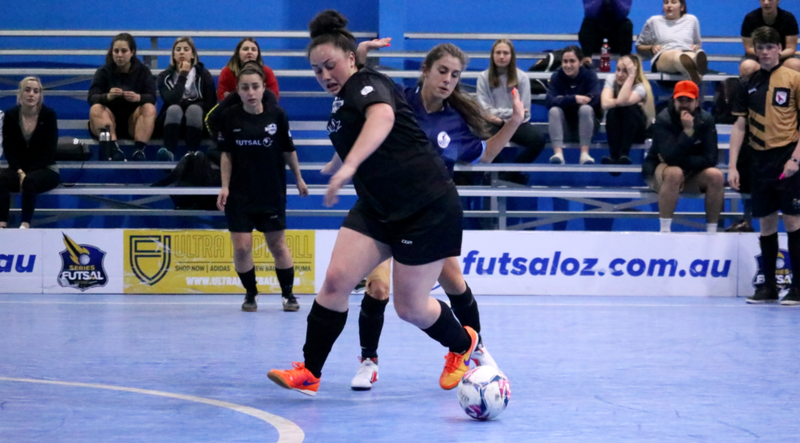 Lisa Fonua stepped up after a quiet first half to score a rocket to give Westside their advantage back, but Northcote were not going away as Claudia Dimasi finished after being fouled to level the scores at three in what was a thrilling contest. 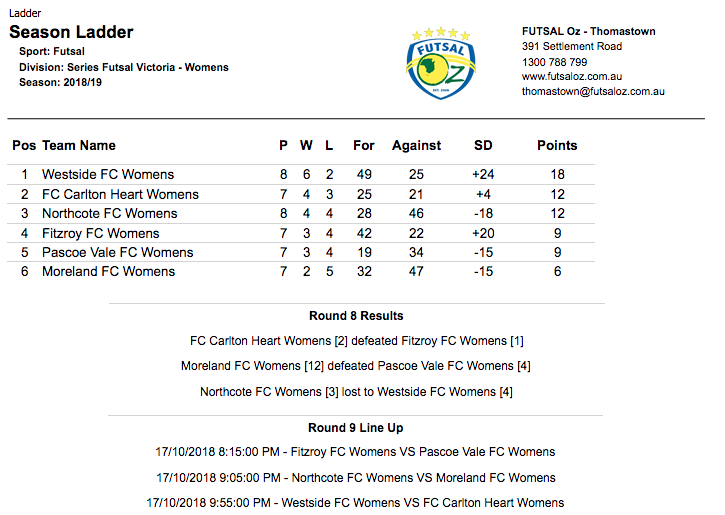 It wasn’t to be for Northcote though as some great play by Westside saw Lisa Fonua tap home the winner as Westside extended their lead at the top of the table.